*The Earth is made mostly of rocks and minerals. Rocks are of different types, and they change from one type in to another. 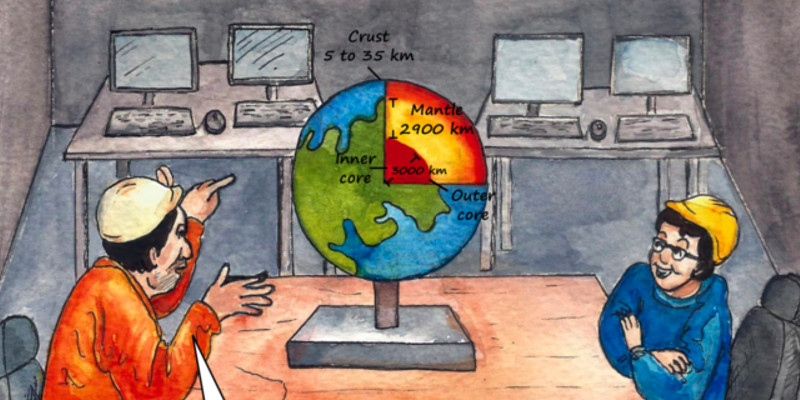 *Like an onion, the Earth has different layers called the crust (the outermost), the mantle, and the core (made of inner core and outer core). Let's learn about what is inside our earth. It's time to answer some questions. Don't worry if you get some questions wrong. Be sure to learn from your mistakes. It's time to sit back and read some cool things.